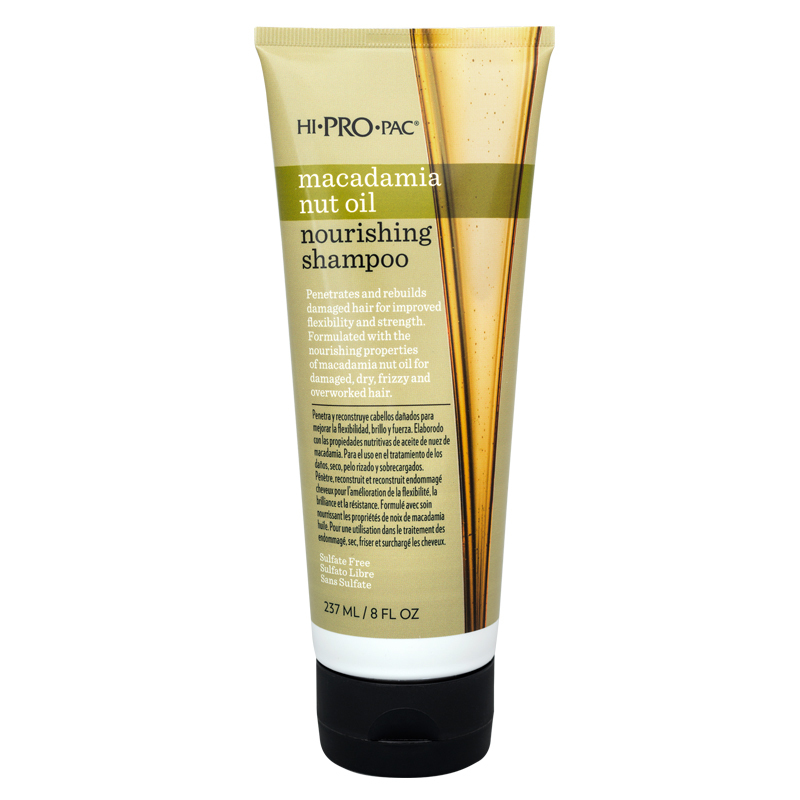 Formulated with Macadamia Nut Oil, a natural moisturizer, this nourishing shampoo is effective for use in the gentle cleansing of damaged, dry, frizzy and overworked hair. This creamy, lightweight shampoo is rich in essential fatty acids to restore silky, soft, healthy hair. Application: Wet hair thoroughly. Rub a liberal amount between palms and massage through hair and scalp. 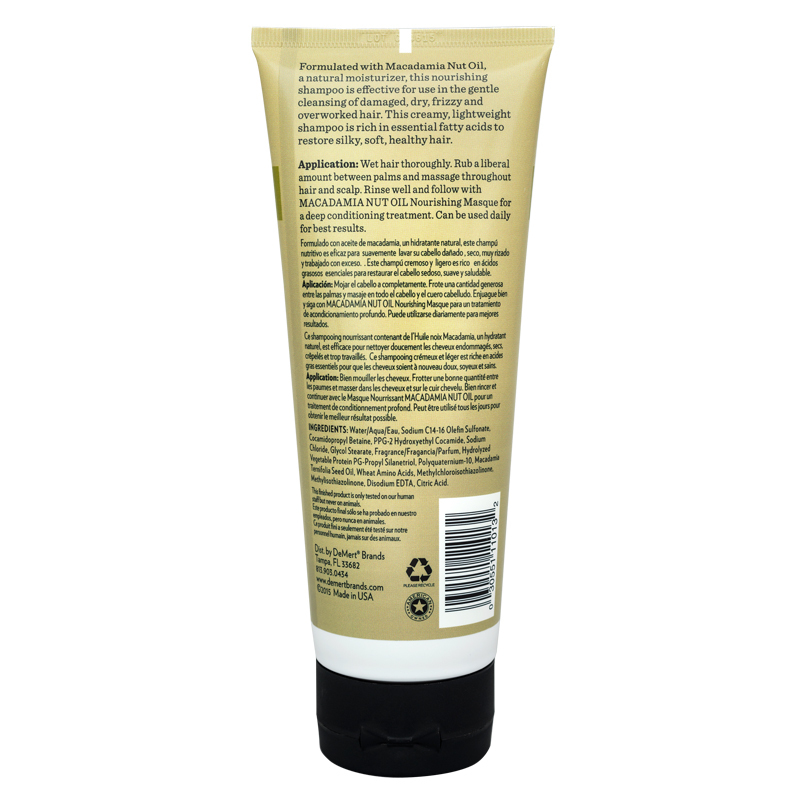 Rinse well and follow with Macadamia Nut Oil Nourishing Masque for a deep conditioning treatment. Can be used daily for best results.